Our virtual room designer tool is an excellent way to figure out what design selections to make, right down to paint colors. This tool allows you to work from a predesigned photo or upload a photo of your own. We suggest start with one of our photos to figure out a direction. This read will give you a better understanding of how to use this free tool! Start by selecting the room that feels more like your style. The different rooms available are offered for the major rooms of the home, such as kitchens, bathrooms and living rooms. Next play around with the item you are most interested in. 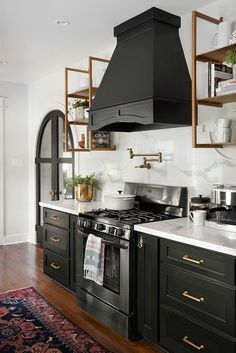 For example if you are thinking of designing your kitchen, select the cabinet style first and then play around with different finishes you like. If you are most interested in granite counter tops, start there. Staring with the item you are most excited about helps you build around the aspects you are drawn to. Now play around with paint color. 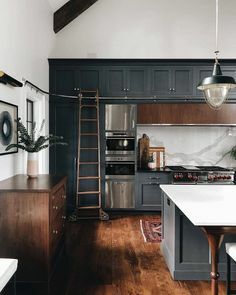 Since paint color can change the way a room looks instantly, it is important to figure out the sort of color palettes that look good with the elements you are most excited about. Paint color also encompasses a large portion of a room. It also has the ability to change the way other features and finishes look. If you are unsure where to start, ask yourself these questions “Do you like light and bright or warm and cozy?”. Light and bright colors are whites, light blues and creams and even grays. Warm and cozy can be achieved by beiges, browns, reds, greens and darker grays. Rich color palettes can be achieved by using darker blues, reds, greens and other vibrant, yet darker color choices such as wine. The virtual room designer also allows you to play around with different floor and wall treatments. When using this tool make sure you view all of the options available. Tweak back splash and counter tops by selecting different patterns and materials. A variety of flooring selections are also available and the finishes can be changed as well. Have fun and create different styles. Save your work so you can go back and look at design styles later! Imagining a new room or remodel is part of the fun. While choosing finishes and materials can be overwhelming at times, looking at samples can be one of the most enjoyable things about the design process. Walking into one of our stores is like walking into a candy store for a kid. There are so many beautiful options and infinite combination possibilities await. If you are redoing a house, a room or just adding new flooring for the holidays, getting samples is a must. Having some idea of what you are looking for before you go to the store is also a must. Pull together ideas online on a Pinterest board, magazines, or create your own workbook here. Knowing what direction you want to go in will save you time and sometimes money on your project. Setting a budget and accounting for overages should be done before you begin to look at materials. Most home projects will go over budget—so account for overages in your initial calculations. This is another reason samples are important. Being able to take home a carpet, wood floor, tile or even upholstery sample can save you time and money in the end. It allows you to visualize your room better. Making the wrong decision in material, size, or color can be an expensive error. If you want to decorate or remodel your home for holidays, we’ve got an amazing holiday offer going on now until December 9th, 2012! Here is more detailed information for your Holiday Home Makeover. If you are working on multiple surfaces, pull all your samples together so you can see how the different materials work together or don’t work together. Paint, flooring, upholstery and tile samples can give you a sense of the overall design in a small format. You can also try out our Virtual Room Designer to help envision your room with all of these elements. Yeah, yeah some websites have fun features that allow you to decorate a room on-line. While this may be a fun exercise and you may learn something from it, wouldn’t it be better to actually be able to design your own room on-line? Imagine changing floor coverings and paint colors in a blink of an eye. Now you can have your cake and eat it too. Century Tile allows you to upload a photo of the room you want to remodel, re-do or change up. “This sounds a bit complicated,” you say. Not at all. Simply take a digital photo of your room and upload it to our designer center. Within 48 hours (a little longer if you upload it over a weekend or on a holiday) you will be able to decorate your room using our Virtual Room Designer. You do need to be logged into our website in order to upload your photos, but that’s really simple as well. How good is this tool? You can choose flooring options, everything from hardwood to natural stone. You can choose the color of your walls, your ceilings and your appliances. You can try out different color cabinets and countertops too. And that’s just for a kitchen. You can also upload pictures of your bathroom, your living room, bedroom or hallway. You’re welcome. This is just another way we feel we can help make your home improvement projects easier and more fun. Try it out and let us know what you think. Wintertime is just around the corner. While there are so many lovely things about winter, sparkly snow, skaters, mittens, frost glazed windows and curling up by the fireplace; there is also the freezing temperatures, snow and ice which can cause wear and tear to your home, especially to your roof and gutters. What’s a homeowner to do? Nuheat has just introduced its Freeze Protection line of regulating cables to help prevent burst pipes and ice damage. Even better for those of us who hate to shovel, they also have slab cables to melt snow and ice on walkways and driveways. All Nuheat freeze protection products can be controlled using a variety of thermostats, controllers, sensors and control panels. To add Nuheat’s cables to your roof before the weather is at its worst please ask us for more information or learn more about this system at www.nuheat.com. One of our favorite website tools is our “How I Live-Interview“. Here, we ask you basic information regarding your home and your lifestyle. 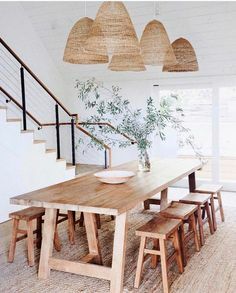 It is important for us to know who lives in your home, if you have any children or pets, what type of atmosphere you would ideally like to create in your home, if you plain on entertaining in your home, etc. Your answers to these questions will play a vital factor in your decision-making process regarding the color, design, and products that you will select for your project. Once you have completed the quiz, you will be directed to a forum full of information related to each question that you answered. It is important to know the best ways to accommodate yourself and your family, and it is our job to help you understand all of the ways to do so. On the left hand side of our website you will see the “Take A Quiz” button, from here choose the “How I Live” tab and it will direct you to the correct page. We hope you find this quiz helpful and that its answers can assist you in your decision making for your home. Here at Century Tile, we have our own expert available to you online. You can ask Pete the Pro any types of questions you may have regarding your flooring. He provides a list of frequently asked questions 24/7. If you cannot find your question on his list, you can click to send him an email. He will respond to your question in a very short amount of time. This is a great feature for those of you who are not quite sure what type of flooring you should put in your home, how to clean your tile properly, etc. Do not hesitate to ask him any questions regarding your flooring. That is why he is here. Sometimes putting new tile in a bathroom can be very stressful. There are a lot of components to doing this correctly and Pete is here to help. We hope you find this tool helpful! Are you ready for new floors, but have no idea where to start? If you aren’t ready to come in to see us quite yet, there are lots of tool on the Century Tile Website that can help you – but today we want to tell you about the one that’s the most fun. It’s called The Virtual Room Designer. On the Virtual Room Designer you can choose your room type and then within that room you can “try on” different floors, walls, countertops and in some rooms you can even try on area rugs. To get started, click on the Virtual Room Designer image below and HAVE FUN!